If you’re like me, you’ve got a fair amount of pre-holiday shopping to do. While I don’t typically participate in the Black Friday shopping insanity, I do have to hit the grocery stores to buy a few supplies for our Thanksgiving day and I will need to shop for baking and craft supplies soon. Some people love shopping during the holidays–the excitement, the decorations, the crowds and the bargains really appeal to them. Other people (like me) hate shopping during the holidays–the tension, the incessant holiday music, the noise, and the crowds make me nuts. But love it or hate it, holiday shopping is a great time to get in a little fitness during a very hectic time of the year. I have found that if I think of shopping as a sort of annual, extreme sports, fitness project it’s a little easier to get through it. I call it “shoppercize”. As with any fitness event or sport, preparation is key. I make sure to wear the right gear (good sturdy athletic shoes, clothing in layers that breathe well), to warm up (doing some stretches before I get in the car) and and hydrate (with non-alcoholic beverages) before I begin. 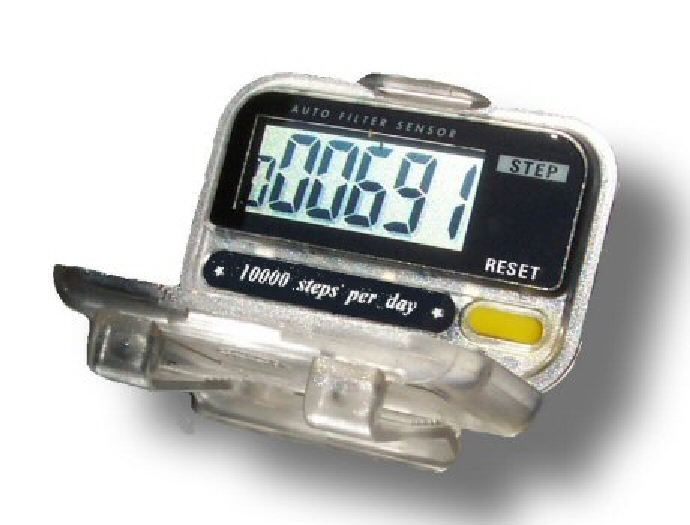 I like to put on a pedometer or step counter when I shoppercize. It helps me deal with the intensely stressed out crowds if I can foster a sense of accomplishment. I set a goal for distance or number of steps before I head off for my shopping trip. Then whenever I get to the store, I plan to park as far away as possible. This way I can properly managing my expectations (since the darn lot will probably be full anyways), manage stress (since I’m not circling around the lot like a wheeled vulture spending thirty minutes to beat the other vultures to the one close parking spot) and I get in a little extra fitness (which is registered and logged on my handy pedometer). Cool. If I’m headed off to the mall, I try to shop early in the morning. I usually arrive before the stores open and get in a mall lap or two and have a nice calm cup of coffee before the stores even open. Usually the mall is less crowded first thing in the morning. And if it gets too crowded to deal with, I just leave. At least I got some exercise and a nice cup of coffee before it all went pear-shaped. I can still feel a sense of accomplishment. I doubt I will ever love holiday shopping–at least among LA crowds. But love it or hate it, shoppercize is a great way to add a little fitness to your holiday while removing just a little of your holiday stress. Have a wonderful Thanksgiving and happy shoppercizing! This entry was posted in Uncategorized and tagged black friday, coffee shop, coping, coping with holiday crowds, coping with holiday stress, crazy, crowds, exercise during holidays, holiday, holiday fitness, holiday stress, mall holiday music, mall walking, parking lot, parking space, pedometer, shoppercize, shopping, step counter, stress on November 21, 2012 by fatchicksings.